Discover the science of motion with engaging tools and hands-on activities! Explore "how things go" by conducting investigations, solving problems, and practicing early engineering. Ten double-sided Activity Cards cover all aspects of STEM, plus key concepts of gravity, inertia, friction, push/pull, and more! 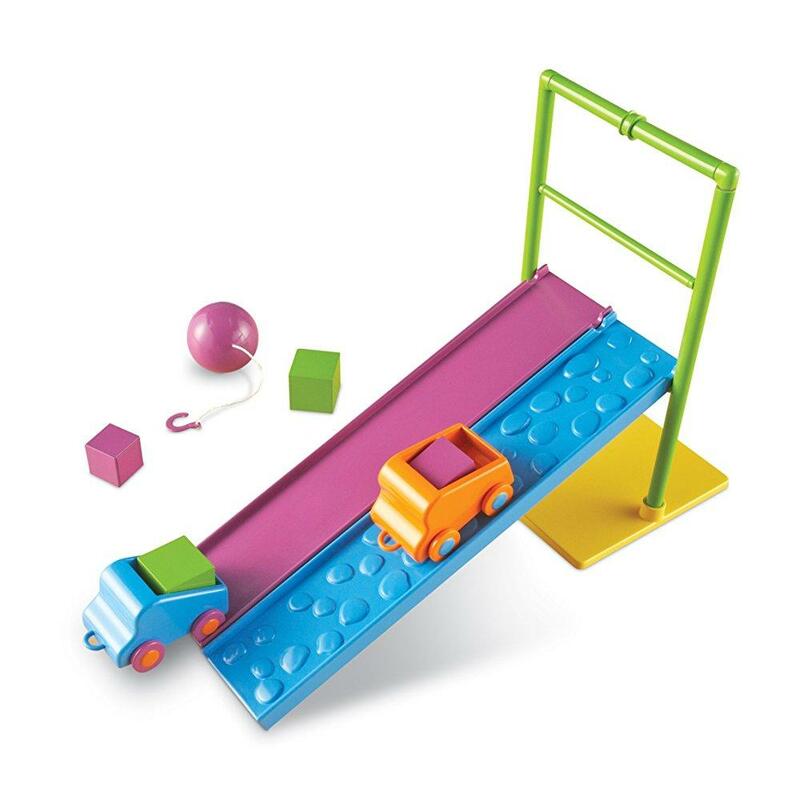 Includes 2 cars, 2 double-sided tracks, 4 weighted blocks, pendulum ball, ladder with 2 removable bars, and a comprehensive Activity Guide.Â Â Ladder measures 91/4"H, tracks measure 12â€³L, and cars measure 23/4"L.